A definitive history of VMD-254 is provided in a book by John G. Bishop titled Cameras over the Pacific. Extracts from his book is provided in Top Secret by MCARA member J. T. O’Brien published in 2004. VMD-254 was initially commissioned on 1 April, 1942 as VMD-1 at Kearny Mesa airfield (now MCAS Miramar) and was later renamed VMD-254. It shared a muddled beginning with VMD-154 during the Summer of 1942. 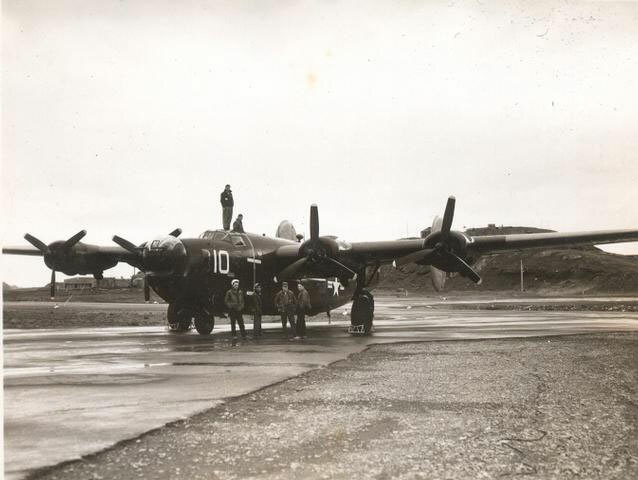 Both squadrons were assigned the new multi-engine PB4Y-1/B-24D aircraft in August (Same time as Guadalcanal landings) and began rather frantic training to qualify crews for deployment to the South Pacific. A decision was made around 1 October that VMD-254 was better trained as a unit, but with the 1st MAW given lead in the Pacific, VMD-254’s personnel were essentially swapped with VMD-154 and taken overseas as VMD-154 under the former VMD-254 CO Lt. Col Bard. VMD-254 continued its training now under the leadership of a new CO, Lt. Col. Pennebacker, who took the squadron to Mojave in the desert in the months before its deployment in late November, 1943 to relieve VMD-1. Lt. Col Pennebacker made a hard landing at Palmyra resulting in a fire that killed several who aided in rescue of the crew. The squadron with 7 PB4Y-1s was fully onboard Espiritu Santo in January and moved up nearly 600 miles to Guadalcanal in February, 1944 and began flying missions all up the Slot. The most famous mission was flown by Major Christensen and Capt. Yawn on 2 February from Stirling Island to provide coverage of the Japanese fleet stronghold at Truk. Despite encountering heavy AAA and fighter attacks the two PB4Y-1 crews were able to get the photos which clearly showed the Japanese dispositions and make it back to a landing at Bougainville. The mission was over 2000 miles long and took 12 hours!! VMD-254 returned to CONUS early in 1945 and eventually was decommissioned and the personnel transferred to VMD-954 which was located at Greenville N.C.